When you’re sick or injured, you want two things: to feel better and to receive care quickly. While immediate care isn’t always possible, urgent care centers do usually offer much faster care compared to emergency rooms. 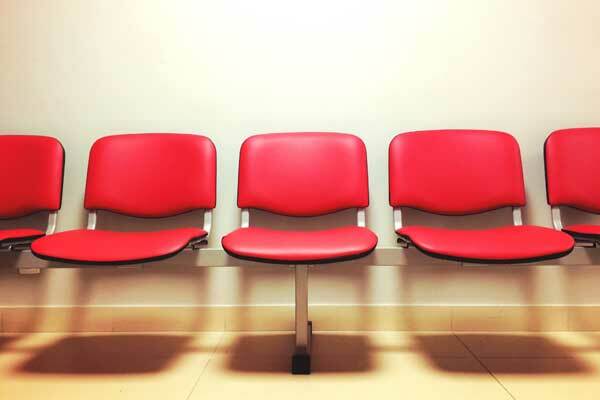 Even so, there are some ways to try and reduce your time in the waiting room even further. If you can, avoid the busiest urgent care hours. People most often seek walk-in care when their regular doctor’s office is closed. This is usually nights, weekends and holidays. For that reason, those are also usually the busiest times at urgent care centers. First thing in the morning can also be busy, as people who’ve been suffering during the overnight hours come in to seek care. You’ll usually have the shortest wait time during mid-day, when there are typically less patients seeking care. So if your condition allows you to do so, wait until then to go. Take advantage of online check-in. The ability to check-in online before you even arrive at a walk-in clinic can help to trim your wait time as well. The Urgent Care Association of America (UCA) reports that the average wait time for a patient who utilizes online check-in is just 16 minutes, compared to 24 minutes for walk-in patients. At the PhysicianOne Urgent Care website, patients can view the current wait time at any location, check-in online to hold a spot in line, and receive a text message alerting them when they should head in to receive care. Opt for an “e-visit” through telehealth. Telehealth (also called telemedicine) is a new and growing resource in healthcare. It allows patients to receive care from a health care provider remotely. The provider can talk with, examine, diagnose and treat the patient through the use of live videoconferencing and other technology. A medical assistant who is in the room with the patient works with the provider to examine and treat the patient. A recent UCA survey shows that less than 10% of urgent care centers reported offering telehealth services. But PhysicanOne Urgent Care has already begun offering e-visits to patients in our eight busiest Connecticut locations in an effort to provide the fastest access possible to high quality care. Patients who come to these locations during peak hours can opt for an e-visit instead of waiting longer for an on-site provider. A medical assistant facilitates the e-visit in the exam room with the patient, using videoconferencing, a digitally connected stethoscope and other such technology to allow a provider at one of our less busy locations to evaluate and treat the patient remotely. What Are The Differences Between Urgent Care and The ER? How Much Does Urgent Care Cost With My Insurance? What Should I Look For When Selecting An Urgent Care Center? Does PhysicianOne Urgent Care Accept Health Insurance?